Nokia Reader showcases the power of Qt push notification API! 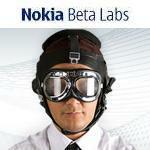 Beta Labs is producing more and more interesting applications for Symbian devices free of charge for every Nokia device owner. This time it's a simple but really useful RSS reader that demonstrates the brand new Qt Push Notification API in action compatible with S60v5 (excluding 5800) and Symbian^3 devices. A new update of the Social App for Symbian^3 devices has been released by Nokia. The new 1.3 version of Nokia's own app for social networking brings some minor UI changes, changes on the photo upload solving the issues with bad quality photos, retweet option for twitter, status support on contacts along with a few other minor changes. Analysis: The future of smartphones, Nokia, Symbian, MeeGo and Qt. Nokia has published the Q4 2010 results a few days ago showing a big drop in profits but also an increase in sales. 5 millions Symbian^3 devices were sold beating the numbers of all Windows Phone 7 devices combined but hings are getting tough for Nokia and Symbian as the market gets more and more competitive from the rest of the platforms. We are going to analyse the current state of the mobile market and what we should expect from Nokia, Symbian and MeeGo as well as what alternative ways are available for Nokia taking in mind all the hard facts. After the last update that we've seen almost a month ago for soundtrack, Nokia Beta Labs released a new version with a few new features and bug fixes.Soundtrck is the first ever GeoSocial Internet radio application. It's an application for music lovers who want to take control of the music they hear on their own virtual radio station. The app seems similar to services like last.fm at first but has some really interesting features that distinguish's it. Brand new firmware for Nokia 5233 (RM 625) was released a few days ago bringing some performance enhancements, bug fixes and updates to the cheap S60 ver. 5 device.